If you’re like me, you had no idea that cigars had to be kept under certain conditions in order to stay fresh. True story: I actually threw my first couple of cigars in an old cigar box for a month before smoking them. At the ripe age of 19 years old, I simply couldn’t figure out why my cigars tasted so bitter! I didn’t end up picking up another cigar for 2 years as a result. The moral of this story? Don’t be like the 19 year old me (for many reasons). Use our guide to figure out how to keep your cigars fresh and age them well to protect your investment. We’ll go through the basics of cigar humidification as well as the pros and cons of each way to humidify your humidor. 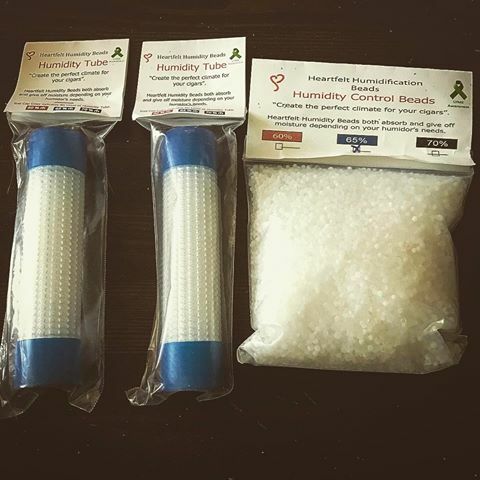 There are a lot of different ways to maintain humidity for your selection! Finally, we’ll round it with a couple of our product recommendations for cigar humidification. 1 What Is Cigar Humidification? 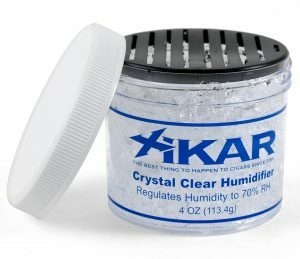 2 What Happens If I Have High Humidity In My Humidor? 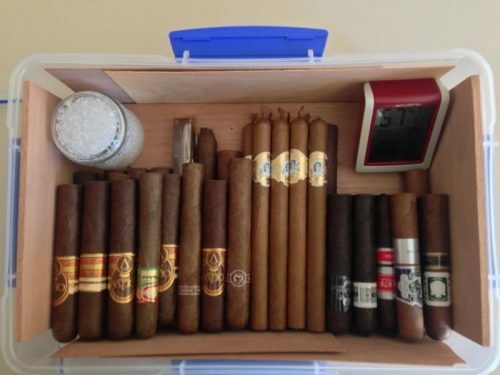 3 What Happens If I Have Low Humidity In My Humidor? 5 What Is The Best Humidification Method For Cigars? 6 How Do I Dry Box My Cigars? 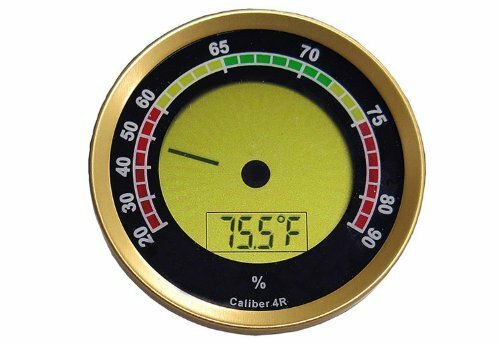 A hygrometer is a device that allows you to keep a close pulse on your humidity as your precious cigars are stored. If you haven’t read our guide all about hygrometers, then we highly recommend checking that out before proceeding any further. To put it simply, a hygrometer helps you keep a pulse on if your humification method is working well and maintaining the right level of humidity. As our guide states, normally cigar collectors aim for a 70% humidity and 70 degrees Fahrenheit. However, some collectors like to go a bit lower and aim for 65%, especially with Cuban cigars. What Happens If I Have High Humidity In My Humidor? A humidity that is well above 70 – 75%, and a corresponding temperature that is above 65 degrees Fahrenheit or so can create some serious mold issues. A lot of times collectors think that it’s simply cigar plume that has graced them with it’s presence. However, under these conditions, you have a humidity problem. 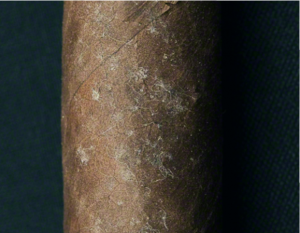 You can figure out if you’ve got cigar mold within your collection by checking a few of these photos of cigar mold vs. cigar plume. What Happens If I Have Low Humidity In My Humidor? Remember the 19 year-old me? I stuck a few cigars in an old cigar box because I thought – “well, if they came in this originally from the factory then they can probably last a little longer for me to smoke them”. Wrong! 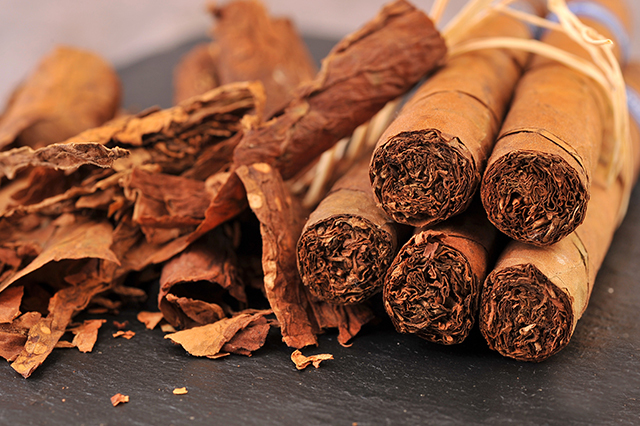 If you store cigars, even in a humidor with a humidity lower than 62%, you risk drying out the tobacco. This will cause the cigar to taste bitter and potentially burn too hot. I can’t begin to describe how bad a cigar tastes that has been dried out. You might as well be smoking rolled up cardboard. The unofficial hockey puck method was my first way to control the humidity in my humidor and boy, was it stressful. This is the “puck” that is included with humidors most of the time and requires you to soak it in propylene glycol. I found it to be a bit of a guessing game because you have to make sure your “puck” doesn’t run out of juice. It was mostly stressful because I used the crummy free version from my humidor so results may vary. I found that I had to soak the puck every 15 days or so with a humidor of 30 cigars. However, once I upgraded to a Xikar puck, it was smooth sailing. I only had to re-soak every 30-45 days and found it to be much more consistent. Soaking a humidor puck is very easy. It takes about 30 seconds and you simply purchase the propylene glycol separately. 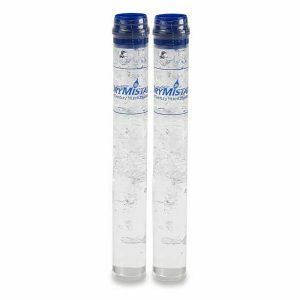 This solution is odorless and just replaces water as a more pure form of moisture. Using tap water can create issues due to chlorine or other chemicals, and distilled water won’t stay moist as long as propylene glycol. Otherwise they do a great job of absorbing humidity if it’s too high and increasing if it’s too low. Once your pack is stiff, then you simply throw it away. That being said, many claim to be able to recharge these very easily by simply soaking them for a few days after they become stiff. Although this may be a great way to save money, the recharged packs definitely won’t be as accurate as an original. To find out more about how to recharge, check out this YouTube tutorial. 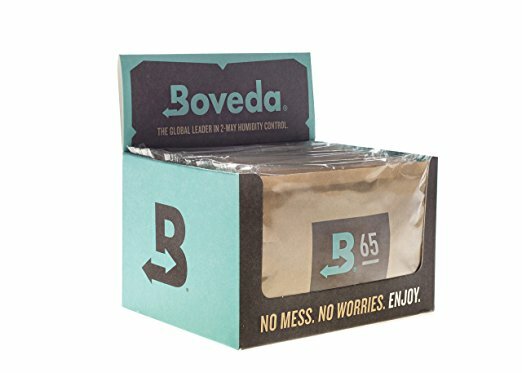 For me personally, I don’t recharge because if I’m going to spend hundreds of dollars on cigars, I don’t want to cut any corners to save a few dollars on Boveda packs. Heartfelt beads are a common humidity method that many recommend across cigar forums. 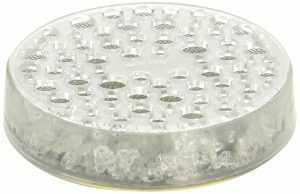 This company revolves around these beads and they have a lot of diehard followers for their product. These are popular with larger humidors or wineadors. These are probably one of the more expensive options but last forever. They do require spraying of distilled water after week or two though so you have to stick to a schedule. This method is a bit more geared towards the more advanced cigar collectors. Typically, cigar collectors will have a pouch of these beads or a layer at the bottom of their wineador. You do have to replace the cartridge every 6 – 12 months but it’s relatively inexpensive. For a larger wineador setup, many recommend kitty litter as a viable option to control humidity. I have personally never done this but many swear by it. This is a very similar method to the Heartfelt beads strategy outlined above. The key is to get a kitty litter without a fragrance and spray distilled water every two to three weeks as needed. 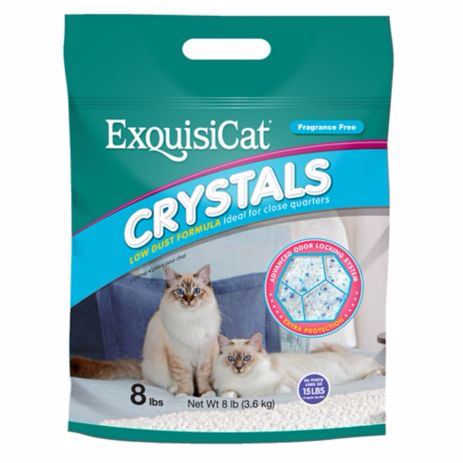 I’ve seen very positive reviews from Exquisicat Crystals with very low dust nor scent. 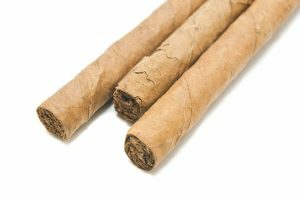 What Is The Best Humidification Method For Cigars? This is one of those questions where the answer all depends. It all depends on the size of your cigar collection, your budget, and what kind of maintenance that you are okay with doing. My personal favorite method, when you have a collection of under 100 cigars, is to use Boveda packs. They are friendly for all experience levels and last forever in a tupperdor. You can use multiple packs and place them throughout your collection to ensure that they are all working together. Generally, you add one pack per 25 cigars. If you have a larger collection, there’s nothing like a set it and forget electric humidifier. 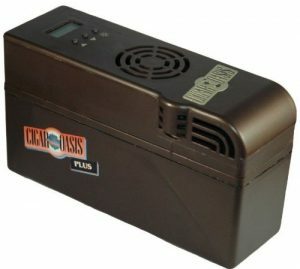 Cigar Oasis makes a great model that many cigar aficionados swear by. Ultimately, both of these methods require very little maintenance – which I believe to be most important for storing cigars over the long term. How Do I Dry Box My Cigars? Earlier I said that you can’t store cigars in a bone-dry cigar box. However, some people actually like to dry box a cigar. This is commonly used as a way to lower humidity right before smoking and can help with burn issues that may occur. To dry box a cigar, simply place it in a box (doesn’t need to be air tight but should be if possible) for 12 – 18 hours before smoking. If your humidity is around 70%, 12 hours should do but any higher you may want to go a bit longer. Sometimes this can be hard to execute because smoking a cigar can be spur of the moment but it can really make a difference if your humidity is a touch too high. That wraps it up for our guide on managing the humidity for the cigars in your humidor. As you collect cigars, you’ll probably find this guide useful since you’ll likely have many different humidors for your collection so be sure to save it to your bookmarks! 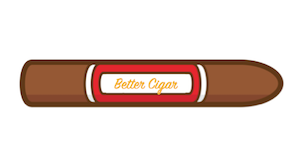 Do you have a cigar humidification method that we missed? Let us know on Twitter or drop a us a line! Still looking to learn more of the basics of smoking a cigar? Check out our guide to ensure that you aren’t making any beginner mistakes while smoking.